Attention: #Westlife fans #ShaneFilan Live at Skydome tonight! MCA Music (Universal Music Philippines) See you! One quarter of the most successful boy band of the last decade- Westlife is here in Manila! Twelve years, ten albums and 44million sales into their career, Westlife rocks! 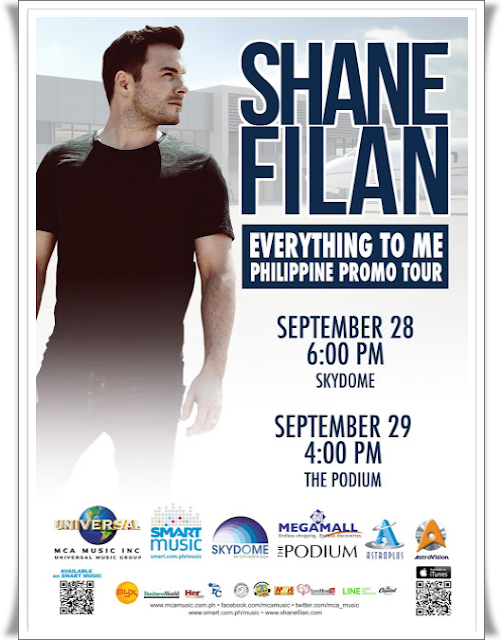 I got so giddy when I learned that Shane Filan is in town for Everything to Me promo! Who could forget Westlife?